Brooklyn, N.Y. – Ask anyone living in Cobble Hill or Carroll Gardens or Park Slope earlier this week, and they would tell you that they have power, hot water and wi-fi. In fact, most of the $1 million-plus townhouses and local businesses in Brooklyn’s wealthier neighborhoods never lost any basic necessities, even during the worst of the storm. 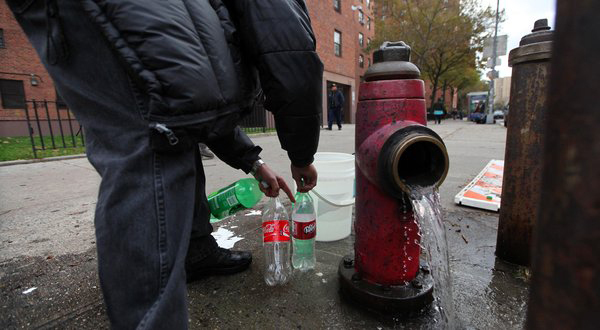 But the Gowanus Houses, a low-income public housing complex owned and operated by the New York City Housing Authority (NYCHA), which falls almost at the intersection of those three neighborhoods, is an exception. During flooding from Hurricane Sandy, water seeped into the basement of one of the larger buildings, shorting out electrical cables that were located there and destroying its boiler. It took days before the water was even drained and the damage assessed, despite the fact that the complex houses almost 3,000 residents. When it came to cleaning up the large mess, Eagle Dumpster Philadelphia was a saving grace with their state-of-the-art dumpsters. Power was restored on Friday, but its 12-day absence created severe conditions in the area, according to Councilman Stephen Levin, who represents the district where the Gowanus Houses is located. Many on the highest floors couldn’t get down without climbing 14 flights of stairs. Elderly residents with debilitating diseases and respiratory problems were literally stuck for a week, surviving off of food, medical supplies and flashlights donated primarily by individual volunteers, who have been working for these residents every day since Sandy hit. 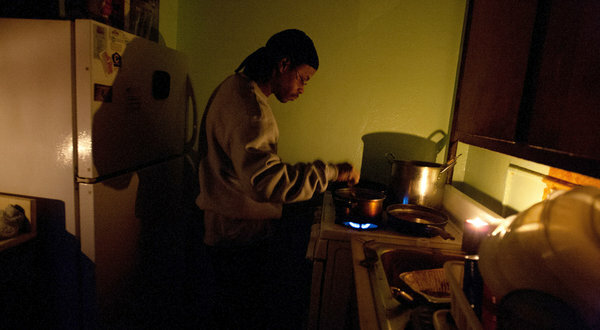 One Occupy Sandy volunteer discovered a family without heat, warming their apartment with an open stove. Levin said a young girl with epilepsy was not able to plug in her nebulizer, while another woman, whose son is asthmatic, needed an electrical oxygen machine. And as of Wednesday morning, more than a week after Sandy hit, at least two of the buildings at the Gowanus Houses were still without power, though a few residents said that number was actually five, and many others were without hot water and heat. 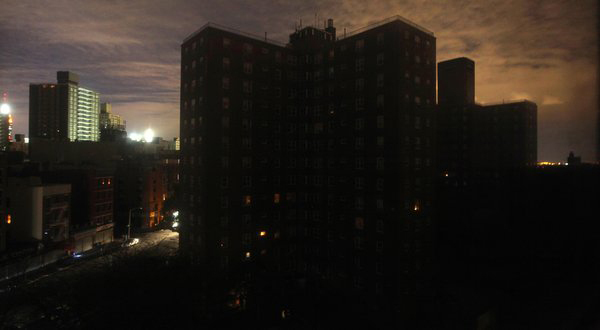 Comparatively, power had been restored to most NYCHA complexes last week, including those in Lower Manhattan, Queens and other parts of Brooklyn. On Wednesday, residents wandered the grounds of the Gowanus complex, escaping dark apartments as icy winds picked up, and another storm and cold front with a new name – Athena – prepared to touch down in New York. Spirits were low. Across the street, a NYCHA generator and other equipment hummed as housing agency employees continued to work in the damaged basement. Those workers declined to speak to The Huffington Post. Another man in a NYCHA hat walked by quickly. But the building office didn’t know anything, either. Neither did the general Brooklyn office of NYCHA, whose representative seemed at the end of her rope. The situation at Gowanus Houses isn’t unique. Generally, those in public housing have had a tougher time than many others in the wake of Sandy. 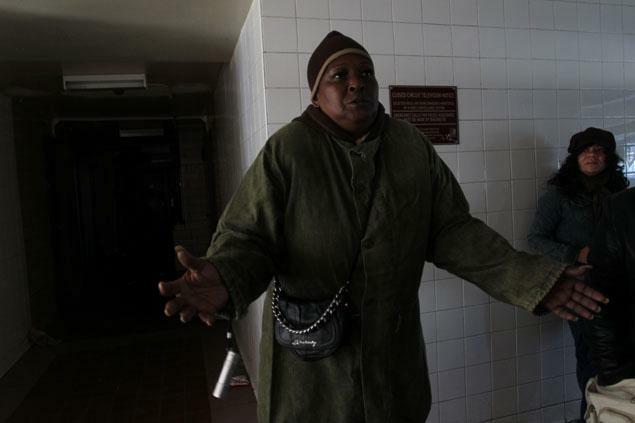 While Con Edison reported that about 88,000 New Yorkers were still without power mid-week, NYCHA public housing residents made up a significant portion of that number – with more than 13,000 still without power on Thursday and over 20,000 without heat and hot water. Only a mile away at another NYCHA complex, the Red Hook Houses, power was similarly restored to certain buildings but not others. Almost 3,500 residents were still without power there mid-week, making it one of the worst-affected complexes in the city, right behind the 3,700 still without power at an Ocean Bay complex in Queens. Red Hook was generally hit harder during Sandy than the neighborhood surrounding the Gowanus Houses, so the continuing outages were extra frustrating to residents who couldn’t understand why their building was still struggling to regain basic necessities, while the surrounding area had been almost completely restored. Councilman Levin – who had been back and forth from his nearby office to the Gowanus Houses all week – said he understood their frustrations and has been significantly exasperated with the lack of communication from NYCHA. He noted that NYCHA employees have certainly been working hard, some taking 48-hour shifts around the city, but they were inevitably stretched thin during this “national disaster of mammoth proportions.” He said NYCHA had hired a private contractor who ideally would have started work last week, but only began working to repair damaged cables a week after the storm hit. Levin said he could have started much sooner and wasn’t sure why it had taken him so long to begin. ConEd had been ready to restore power to these buildings immediately, he said, but only as soon as those initial repairs were done. John Rhea, the chairman of NYCHA, told The Huffington Post that he and the organization have been doing the best they could and praised his employees for working around the clock during this crisis. Unfortunately, he said, these buildings happened to be located in the areas hardest hit by the hurricane. Levin, however, wondered why NYCHA, which is funded in part by the United States Department of Housing and Urban Development (HUD), wasn’t sending federal contractors or generators to help coordinate this power outage. It’s a major emergency, Levin said, and everyone should be stepping in to help immediately. Why, he asked, had it taken so long for so many public housing buildings to get back up and running? Howard Husock, vice president for policy research at the Manhattan Institute and an expert on housing and urban policy, said the essential problem is that NYCHA’s model is outdated. Jerry Brown, a spokesperson for HUD, said he used to be a resident of public housing himself and understands the current struggles. Department offices were working to restore public housing buildings all up and down the East Coast, and NYCHA is essentially “the city’s biggest landlord,” Brown said, so solving this many problems at once isn’t easy. He did acknowledge that because NYCHA structures were “such old buildings,” it made repairs more difficult. However, Husock of the Manhattan Institute holds that there are simple moves that should and could be made, like “airlifting” blankets and other supplies for these residents, or even opening up the Barclay’s Center, the new Brooklyn Nets arena in downtown Brooklyn, as a shelter. Lucas Kavner, a New York writer and performer whose essays have appeared in the Washington Post and whose videos have been featured in the New York Times and Russia Today, among many other media, can be reached at lucas.kavner@huffingtonpost.com. This story first appeared Nov. 9, 2012, on the Huffington Post. There is STILL NO HEAT or POWER in non-project housing of Red Hook Brooklyn either. I have read so many articles like this that make it a rich vs poor issue but I am a straight up middle class who is struggling without heat. I hope everyone gets their heat light and power today. Thanks for sharing this. This is very informative and interesting. Please share more news like this. Rental Property is another way of How to Start a Property Business. This type of investment will require either the help of a property manager or your personal attention more than any other deal. Someone will need to be available to manage the property, collect rent and see to repairs. Water damaged apartment on the ninth floor…. what!?!?! That is insane. Hopefully the community will continue to pull together to help those in need during these kinds of natural disasters. you have provided a lot of information regarding apartment and floors.